Everyone knows that getting into shape and eating healthy requires exercise and the right foods. With today's busy schedule, however, this can be difficult to achieve. Today, we are going to talk about how you can easily handle one side of this dilemma, by using fresh meal delivery services, sometimes called fresh meal subscriptions. Meal subscription services will drop off fresh ingredients for healthy, quick meals. If you haven't heard of these or aren't sure what they are, you are in for some surprising news. This is one of the easiest ways to turbo charge your weight loss program with very little effort on your part. To make things even easier, we are going to include a link to a terrific weight loss tracker that will guide you in calorie and portion control, as well as track your efforts! Let's fill you in on the skinny regarding fresh meal kits and how you can use them to your advantage to lose weight and eat super healthy meals, in one easy package. First, What are Fresh Meal Delivery Services? 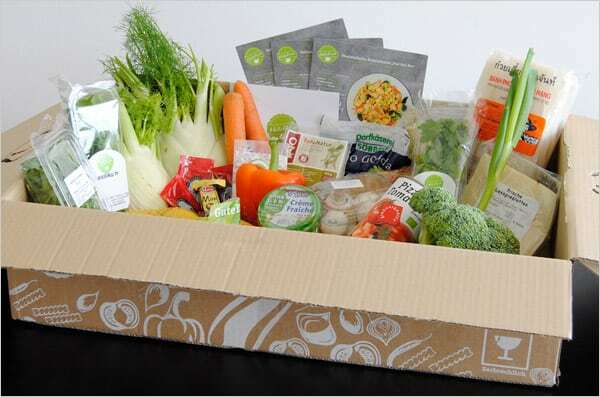 These services go by several names such as HelloFresh or PlateJoy, the basic idea is the same. Fresh meal subscription services will drop off fresh ingredients for healthy, quick meals that can help you to easily lose weight. Almost all meals range between 500 and 750 calories, so it makes staying on your diet pretty easy! Depending on the service, some deliver meals each day, others deliver a week's worth at one time, however, regardless of the frequency, each meal comes with easy to follow recipe instructions that make putting together some fabulously tasty meals as easy as 1 2 3! Why Not Make it Yourself? Let's be honest. Most of us are far too busy to eat healthy, calorie controlled meals every day. So when the car breaks down, or you work late to finish a project, the thought of what you have in the refrigerator and how you will cook it sounds so overwhelming that you tell yourself "Just this once, I will hit up the fast food drive through." Just this once quickly turns into three times a week. Or, if you manage to avoid the drive through, you end up going through your cabinets and picking out the quickest thing possible. Packaged mac and cheese with frozen french fries or perhaps a frozen pizza? You must agree, this is far from healthy, even if you limit your portions. Most fresh meal companies use organic ingredients and can tailor your meal to suit your requirements. For example, if you are trying to lose weight and the calorie counter says you can have no more than 1700 calories each day, the meal subscription service will accommodate you. If you have allergies, hate seafood, but love anything lemon flavored, they will be certain their meals fit your tastes and needs. What could be simpler? 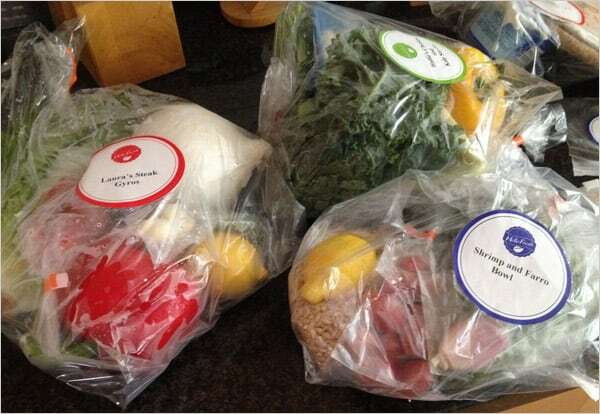 Here is one little secret to using fresh meal subscription services; you can duplicate them. After a few months, you will begin to remember certain recipes and ingredients. You become accustomed to portion sizes. Take an extra minute to copy a recipe, including the ingredients and portions. This way, the next time you go shopping, you can buy the same ingredients and make that meal later in the week. Before you know it, you will be able to recreate some truly fantastic tasting and healthy meals all on your own. We understand that these fresh meal delivery services can be expensive for some people. By using the same recipes and ingredients, you can always cancel the subscription after a few weeks or months. Using these food service delivery systems, you can teach yourself healthy cooking habits and portion control so that, eventually, you can do it yourself! Which Are the Best Fresh Meal Delivery Services? Depending on where you live, you should have plenty of choices. If you live in a very rural area, you might have to have your food delivered to your work or to a friend's house, but for most people, there should be a fresh meal company that delivers to your area. So, how do you choose? Ask friends, family members, or co-workers for recommendations or you can take a look at what we think are the 5 best meal delivery services out there. This is probably the best known fresh meal delivery service around and for good reason. Each box contains three different dishes, each with two servings per person. Meals are delivered once each week and contain free range, organic meats and locally grown, organic produce. All recipes take a maximum of 1 hour to cook and prepare, many of them taking 30 minutes. Each serving has between 500 and 700 calories. Unfortunately, Blue Apron does not deliver to the Midwest. These are super healthy meals that follow the Mayo-Clinic recommendations of 10-25 percent protein, 10-35 percent fat, and 45 to 65 percent carbohydrates. This service is super, super flexible and offers Paleo plans, gluten free plans, and more. You can choose organic dairy, no dairy, even the grocery provider if you wish! Each box contains two servings per person and are hand delivered to your home within 36 hours, so while this service is best for those who can do advanced ordering, this company offers fresh meal delivery services to just about everywhere in the US. This is another popular option that puts 3 meals in each box, so you can order one day at a time, or three dinners at a time. This company puts it all in an insulated box and each meal comes with two servings. Like PlateJoy, the options are pretty varied, with meals for vegans, vegetarians, and plain old omnivores. These meals are delivered each week and you can stop the service anytime. Currently, the company delivers to 37 states, most of them on the East Coast and Midwest. This is perhaps one of the best, all around services that has something for everyone. Food is cooked by spa chefs who customize a plan just for YOU. Whether you simply want to eat as healthy as possible, if you are an athlete who needs extra fuel, or if you want to lose weight the healthy way, this company will set up a plan just for you. They can go do soy free, gluten free, or whatever you wish. They pride themselves on using no preservatives, nitrates, hormone filled meats, or GMO’s. Weight loss plans come with free consultations, including activity programs and even behavioral counseling! For those looking to jump start their weight loss program, (for that upcoming wedding or family reunion? ), this company focuses on juice cleanses and plant based meals. Currently the company only delivers to selected states (which their website), but those who have used this service rave about the food and their weight loss because of it! Using a meal subscription service, like the ones mentioned above, can turbo charge your weight loss efforts, while teaching you portion control. You can learn how to cook super healthy, wholesome meals that whittle your waist while never sacrificing flavor! By using a weight loss tracker, such as this one, in combination with a fresh meal subscription service, you can look great, and still enjoy the taste of truly wholesome food. Weight loss trackers will calculate calories for you and keep track of your weight loss with weekly weigh-in's. This combination of fresh meal kits and weight loss trackers will super charge your weight loss and not only make you feel great, but since you put very little effort into it, you will wonder why you waited so long to get started!